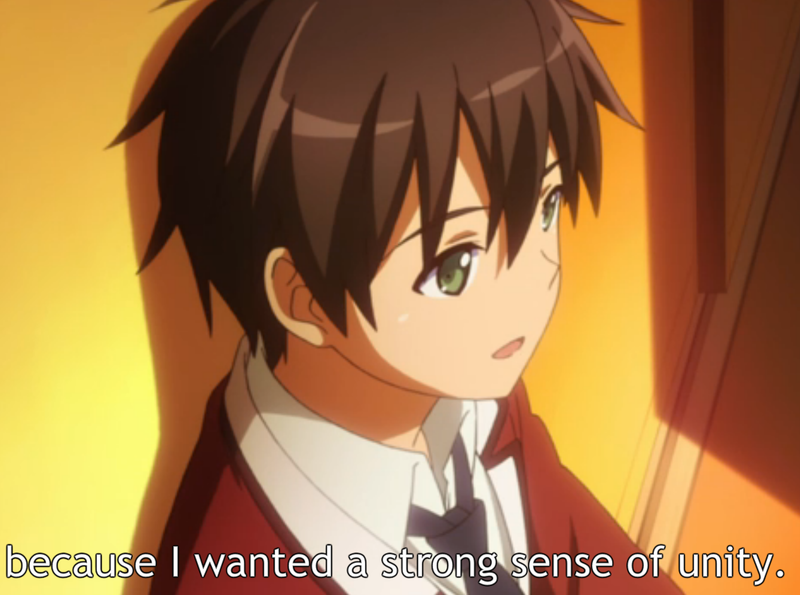 I Blog Anime: When Supernatural Battles became Commonplace: Adding depth already? When Supernatural Battles became Commonplace: Adding depth already? Well...that was fast. It has only been the second episode and already the tone was so...sedated. They spent basically the entire first half of the episode just in the setting of a Club doing its normal recreational style activities. That was really vague of me to say, but it was the only thing I could think of that doesn't spoil anything. The other half was spent...going deep. Like, straight up serious set. What really impresses me is how they didn't grind gears shifting tones. The tone shift was very fluid with the pace of the show, which is what I didn't expect. After this episode, it brings to mind the previous episode when Kudou was introduced and explaining herself. I recalled that, amidst the humor, that was peculiarly of a much more serious tone than the rest of the show. I was already expecting the show to play a few depth cards with the comedy cards, but not this fast, or this strong. Thus it is, that I have come to the conclusion that this show isn't just using down to earth realism to balance out the comedy, that is to say: they are not using it to give us a break from drowning in comedy. Instead, it appears it is going to be a staple of the shows core tenets of activity. That makes this show so much more valuable on my roster. I love these kinds of comedy shows the most. I enjoy my comedy a great deal, but it gets . . . dull? Grating perhaps? When there is just too much of it. Ah, I suppose one could say that it becomes too unrealistic when it is just all humor, all the time. There are several ways to balance out comedy, but realism is my favorite, because it brings the characters closer to home and heart. Grant, it is much rarer to see comedy not being balanced these days than previously in time, but this kind of thing is a scale, and scales can be tipped too far one way or the other. So far, I'm finding this shows balance to be of surprisingly good quality. Not to mention that the things they get serious about are of good Human Interest value, which is a plus in my book.